Heavy Rains in Kerala for the 3rd Day....Winds, OLR and Last 3 days rain amounts satisfy the conditions of Monsoon arrival in Kerala. We see a West/South West winds at Upper levels at 850 hpa also. The trough off the West Coast is also forming and strengthening to some extent. We may see the UAC merge in the trough in the next few days. Monsoon will move into Coastal Karnataka in the next 3 days. Mosture incursion has also brought good rains in South Madhya Mah. on Wednesday evening. Thunder Showers possible on Friday and Saturday South of Mumbai along Konkan and South Madhya Mah. Chances of heavy thunder showers in Pune on Friday and Saturday. A UAC in the South West/Central Bay is likely to track West/North West towards A.P. coast. Monsoon moves into A.P. on 6th/7th June. Forecasting good news for the country’s economy and farmers, the India Meteorological Department (IMD) has reiterated its initial prediction of ‘above normal’ rainfall in this year’s South-West monsoon season. “The conditions are congenial for the onset of monsoon in the next four-five days and the rainfall quantity will pick up in the second half of June,” IMD Director-General LS Rathore said at a press conference, while releasing an update for the long-range monsoon forecast (June-September) on Thursday. The icing on the cake is the IMD ruling out a deficient monsoon. “There is a zero per cent probability that the rainfall will be deficient,” Rathore said. A deficient monsoon, which means less than 90 per cent of the long-period average (LPA) rainfall, could cause severe distress to farmers, crop loss and drought. This year’s projected plentiful rainfall will bring to an end to two consecutive years of drought. Last year, the country suffered a rainfall deficit of 14 per cent, while in the previous year, the shortfall was 12 per cent. Quantitatively, monsoon season rainfall for the country as a whole is likely to be 106 per cent of the LPA, according to the projection. The monsoon is considered to be above normal when the rainfall is between 104 per cent and 110 per cent of the LPA. Region wise, the seasonal rainfall is likely to be 108 per cent of the LPA over North-West India, 113 per cent over both Central India and the Peninsula and 94 per cent over North-East India. While the probability of excess rainfall (rain over 110 per cent of LPA) is 23 per cent, Rathore dismissed concerns on the possibility of floods. “Floods happen if you have continuous excessive rain within a short span. But if the distribution is good, there are no floods,” he said. The monthly rainfall over the country is likely to be 107 per cent of its Long Period Average in July, and 104 per cent of the LPA in August, both with a model error of (+/-) 9 per cent. The low rainfall of the last two years was mainly attributed to El Nino, an irregularly occurring series of climatic changes affecting the equatorial Pacific region, which causes drought conditions in Asia. This year El Nino conditions have already turned to neutral after becoming moderate in April and weakening in early May, according to the IMD. On the other side, there is a 50 per cent probability of La Nina conditions, which favour the monsoon, during the season. “When there is a La Nina condition, there is a probability of extension of rains,” Rathore said, indicating that rains could continue in October. Rajesh sir,imd hasn't yet declared monsoon over kerela although all the factors such as rainfall ,winds,olr have been met for onset.its still saying that it would take more 4 days for onset.Why so?According to you are thunderstorms possible in mumbai and north konkan from 6th jund?will they be normal or heavy in nature? IMD yet to confirm the data. But the conditions over kerela appear as if the monsoon has set. 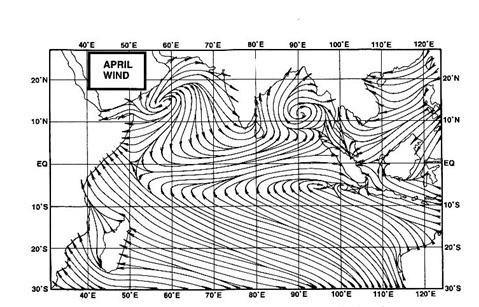 Been raining for week and winds from SW.
Are we in for another 2014 show which took place in uttranchal Pradesh in the month of june,same weather systems showing up around mid june a bay low a Arabian sea low and a w.d dipping below. Rajesh sir,whats your 10 day forecast for mumbai and konkan region ?will the monsoon be deficient or normal/above?when will monsoon reach raigad district of maharashtra?